Did you know that Melbourne is one of the most liveable cities in the world? If you are planning a trip to Australia, be sure to include some time in Melbourne. The City Of Melbourne Australia, It’s Easy If You Do It Smart. I’ve lived in Melbourne all of my life (we locals pronounce it “Melben”) and I want to share my love of the city (and surrounds) with you. Not only is it a great place to live, but it has so much to offer travelers – stunning beaches and forests, captivating animals, modern and traditional art, amazing architecture, rich history, world-class sport, ancient cultures, endless shopping, delicious food, gracious gardens – and we Australians love making visitors feel welcome. There is always something exciting to do or see, whether you are with your family, on your own, with friends or a romantic partner. It may take a long flight to get here, but getting around Melbourne is easy…we have a terrific transport system in the heart of the city. And if you want to see our spectacular scenery, it’s easy to rent a car or Melbourne Tours. Melbourne is a truly multicultural city. You will see people from all over the world walking our streets, and you will find an exciting range of cafes and restaurants offering traditional and exotic foods from all over the world. Melbourne is often seen as the cultural capital of Australia, thanks to its numerous festivals, galleries, theatres, and museums. Tourists visiting the city can enjoy attractions and events to suit their interests and passions all year round. Here are some of the must-see cultural venues and events in Melbourne. A variety of international festivals take place in the city, including the Melbourne International Comedy Festival, Melbourne International Film Festival, and Melbourne Festival. * The Royal Melbourne Show takes place on the 24th September to the 4th October each year. It is Victoria’s largest annual community entertainment event, offering entertainment such as monster truck racing, music from up-and-coming bands, animal nursery and the chance to sample local cuisine. * The Annual Moomba festival is held between the 9 – 12th March every year. Highlights include a bright and colorful parade, carnival rides and the Birdman competition, where entrants try to fly across the Yarra River. * The Melbourne International Comedy Festival takes over the city with hundreds of shows every April. There’s an enormous program of stand-up comedy, cabaret, theatre, street performance, and visual arts. It runs from March 28th to April 22nd. * Film buffs will love the Melbourne International Film Festival which takes place between the 2nd and 19th August. They’ll enjoy the numerous independent films on offer and watch premieres before anyone else. * Art lovers should flock to the Melbourne Festival between the 11 – 27th October. Enjoy the live shows, art installations, and photography exhibitions. * Jazz aficionados shouldn’t miss the Melbourne International Jazz Festival on June 1st – 10th. There are more theatres in Melbourne than any other city in Australia. The most famous venues include the Melbourne Recital Centre, David Marriner’s Princess Theatre, Regent Theatre, Forum Theatre, and the Comedy Theatre; the Athenaeum, Her Majesty’s Theatre, State Theatre, Capitol Theatre, and Palais Theatre. Check listings websites such as theatrealive.com.au before you go since new productions come and go. Melbourne is the second home of Opera Australia after it merged with Victoria State Opera in 1996. Opera lovers can catch performances at the Arts Centre. The Victorian Opera had its opening season in 2006 and operates out of various venues in Melbourne, including Horti Hall. * The National Gallery of Victoria, founded in 1861, is Melbourne’s oldest art gallery and museum. Its collection includes works by Bernini, Rembrandt, Rubens, and Constable, among others. * Fans of contemporary art should visit the Australian Centre For Contemporary Art. Highlights include New 2012, a show featuring works from up-and-coming Australian artists. * The Centre for Contemporary Photography in Fitzroy, inner Melbourne, has photographic exhibitions and workshops throughout the year. * The Melbourne Museum gives tourists the opportunity to learn more about the history of the city. * The Chinese Museum is a fascinating look at the history of Chinese-Australians. Take a trip back in time and see what life was like for early Chinese immigrants. * The Polly Woodside, found on Melbourne’s South Wharf, is a restored 19th Century cargo vessel. Come aboard and experience what life was like as a 19th Century sailor. 1. Swimming With The Dolphins. This one is an absolute must for anyone who likes the sea. A number of tour operators take visitors out into Port Phillip Bay to swim and snorkel with the local bottlenose dolphins, who are just as curious about people as we are about them. Lucky swimmers will see these beautiful creatures up very close, hear their clicks and calls, and have the experience of a lifetime. 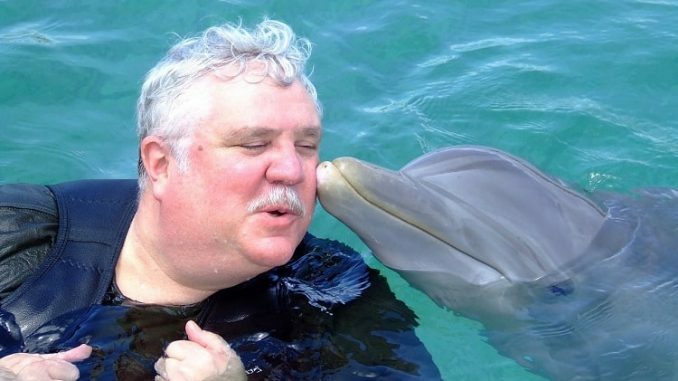 You will have to go out of the city a little to find the dolphins. Take a drive up to Sorrento or Queenscliff, or get on a day tour from Melbourne city center if you don’t have a car. Some tours also include swimming with fur seals and visits to seabird nesting sites, but it’s the dolphins that are the main attraction. If you can swim, you can snorkel and explore the underwater world. There are a huge variety of fish to be seen, plus a full complement of anemones, shellfish, crabs, and starfish. Even quite close to the shore in shallow waters snorkelers will sometimes encounter graceful stingrays (which are not aggressive unless accidentally trodden on), puffer fish, and other fascinating creatures. There are great snorkeling spots quite close to the CBD. If you’ve got a few hours, take the train out to Hampton and explore the headland near Sandringham Yacht Club, or visit the famed Black Rocks- but be aware that the shipwreck off Black Rocks should be considered off limits to snorkelers and divers. If you want to get away from the hustle and bustle of the city, head up to the quieter beaches and rocky outcrops of Mornington Peninsula. Those with sharp eyes might even catch sight of very rare weedy sea dragons. There are plenty of dive schools in Melbourne, and those who are already qualified to dive independently won’t find it hard to hire top of the line equipment or get their air tanks filled. Boat dive charters are available all along the Mornington Peninsula and there is a full range of beach, drift, and boat dive sites out there. Don’t miss the kelp beds near Point Lonsdale or the Pier at Portsea. Both divers and snorkelers should be aware that the tidal rips close to Port Phillip Heads can be extremely strong. Even if you don’t need to hire gear or get an air fill it’s well worth dropping into a local dive shop for advice on safety, especially for less experienced divers. Those with small children don’t have to miss out on the underwater world when they come to this part of Australia. Melbourne’s aquarium is a brilliant day out. To get the most out of it, plan ahead and check the schedule of talks and displays before arriving. Make sure you catch the shark feeding- those grey nurses might not eat people but they certainly look like they could if they wanted to! Even if you do plan to get in the water, a trip to the aquarium will show you exactly what to look for in the waters around Melbourne. They’ve got a huge number of excellent displays and even the most seasoned diver is sure to see something they’ve never spotted before. As far as luxury holidays go, Australia is one of the world’s most popular destinations and a leading attraction is its very own capital of culture, Melbourne; a vibrant and diverse city where something new and exciting is always going on. Even by Melbournian standards though, March is one of the most dazzling months on the annual calendar and an ideal time to visit the city. Victoria doesn’t enjoy the nickname of ‘The Garden State’ for no reason and the eclectic geography of this region drives a flourishing agricultural industry; the main crops being asparagus, broccoli, potatoes, carrots, and tomatoes as well as livestock such as sheep, lambs, and dairy cows. The coasts around the state are home to some of the finest seafood in the world and let’s not also forget the extensive vineyards that can be found in the area, Victoria produces some of the best wines in the Southern Hemisphere. All of this cultivation asserts Melbourne as a center for food and wine and it seemed inevitable that eventually an event would be organized to celebrate Victorian produce. Now in its 20th year, the Melbourne food and wine festival sees 20 days of feasting and festivities and includes a number of spectacular events including the famous IGA World’s Longest Lunch wherein 29 regional locations diners from across the city will sit down to the world’s longest lunch at 500m long white-clothed dining tables. As well as that there will be appearances from international celebrity chefs, the extravagant Riverside opening weekend, gala dinners and countless other activities. After all of that indulgence, it might be time to get the blood pumping and the adrenaline coursing and what better way than to enjoy some high-octane, piston-pumping action at Melbourne’s own Albert Park Grand Prix circuit for the inaugural race of the 2012 Formula 1 season. One of the most anticipated dates in the calendar the race brings style, glamour, and celebrity to the city and even if you’re not a racing fan there is still plenty going on to entertain the buzzing crowds including an aerial display by the Australian Defence Force. With the likes of the Mercedes, McLaren, Ferrari, and Red Bull teams lining up in the paddock and world championship drivers such as Sebastian Vettel, Louis Hamilton, Fernando Alonso, Jenson Button, Michael Schumacher and the returning Kimi Raikkonen it’s set to be a thrilling competition. The race takes place from the 15th-18th of the month with Thursday and Friday practice sessions, Saturday qualifying and the big race itself on Sunday. Alternatively, if you prefer a more refined kind of glamour March also sees the world-renowned L’Oréal Melbourne Fashion Festival which continues from Thursday 8th for a week-long gala featuring some of the world’s most celebrated designers and fashion houses. The bold and the beautiful will descend upon Melbourne and unlike most other international fashion events the public is invited to attend, learn and become inspired by leading industry figures. Much more than just a fashion show other features include beauty workshops with some of L’Oréal’s most senior experts, the launch of a new lingerie range by famous burlesque star Dita Von Teese as well as fashion forums, business seminars for budding fashion designers and marketing advice from the Herland Sun. 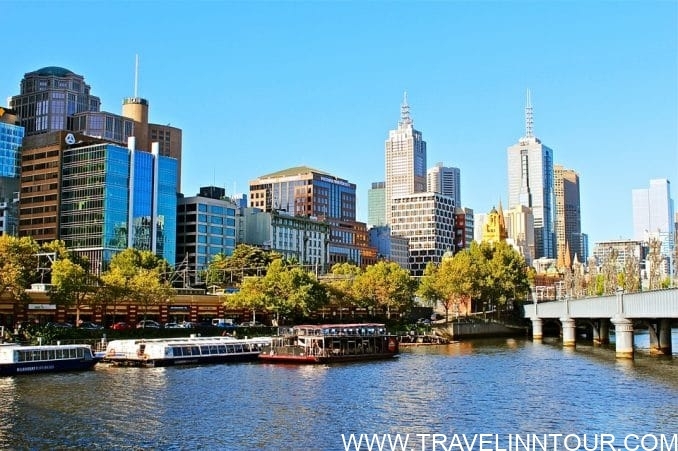 A trip to Melbourne is the perfect place to start a holiday or honeymoon to Australia and whether you travel outside of Victoria or not this beautiful state and its shining capital are must-sees on any voyage down under. If you are intrigued by Australia’s culture and want to take a vacation where you can celebrate their heritage, there are a number of special activities and events that you can enjoy in the city of Melbourne, Australia. Here are the 5 most cultural things to do in Melbourne while you are on vacation. Australians love Footy, the Australian version of Football with Australian rules. Footy is a big part of the Australian culture with the season running from March to the end of September. Melbourne is a very popular city for the sport of Footy, with two stadiums in town. Footy is a very family-friendly sport and many children in Melbourne grow up dreaming about becoming professional Footy players. and many others, all of whom are members of the Australian Football League (AFL) Hall of Fame. When you are in Melbourne during Footy season, you can experience Australian culture at its finest when you attend a Footy game. If you want to enjoy the sights and sounds of Melbourne from the view of the local citizens, take a ride on the City Circle Tram. The City Circle Tram winds through the streets of Melbourne and goes to the local shops and activities, giving you a first-hand view of the Melbourne culture. It is also a great way to meet the local citizens and get to know their way of life. The City Circle Tram runs in a circular motion around the city, going in both a clockwise and counterclockwise route. The Tram operates from 10am-9pm and makes regular stops along the main streets, including the Harbour Esplanade, Victoria Street, Flinders Street and more. The City Circle Tram is free of charge and attendants are very knowledgeable about the local attractions and history of the city. The Tram stops at each station every twelve minutes, giving you the ability to hop off and visit the local attractions. When you are ready to continue your travels, just hop on the next Tram to the station you want. As one of the most popular shopping centers in Melbourne, Federation Square is a great place to visit and take in the culture of Australia while also giving you an excuse to go shopping. The Federation Square was built in 1910 and is a great example of early 20th century Australian architecture. The Square also includes many local restaurants and bars where you can get some local cuisine or make new friends while enjoying a drink. Federation Square also includes the Kirra Galleries with displays of several local artists and a variety of exhibits from blown glass to handmade jewelry, sculptures, paintings and more. You can also visit the Melbourne Visitors Center at Federation Square. As one of Melbourne’s oldest continuing public markets, Queen Victoria Market is a very popular gathering place for the residents of Melbourne. Opened in 1878, Queen Victoria Market is a great place to go if you want to experience the culture of Melbourne. The Market is filled with everything from fresh seafood and local produce to fresh baked goods, clothes, household goods and more. If you want to experience Melbourne culture at its best, Queen Victoria Market is the place to go and watch the local citizens as well as see the local architecture of the mid-1800′s. Visit Lygon Street in Melbourne and see where the Italian culture meets Australia. Lygon street is where the local citizens hang out when they want to go to the local coffee shop or cafe. Filled with cozy restaurants and cafes, Lygon Street began as the Italian section of the city with a number of immigrants settling in the area.